Books by Tieraona Low Dog, M.D. 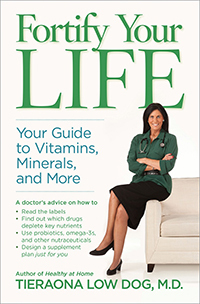 Fortify Your Life: Your Guide to Vitamins, Minerals, and More Dr. Low Dog is excited to announce her new book, “Fortify Your Life”, published by National Geographic Books. In this comprehensive guide to supplements, Dr. Low Dog engages and encourages readers to take charge of their own health and provides guidance to find the right combination of nutritional supplements to improve mood, strength, energy, and well-being. More Information. 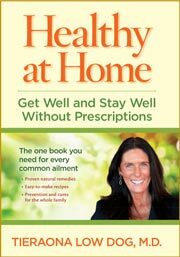 Healthy at Home: Get Well and Stay Well Without Prescriptions Dr. Low Dog is very proud of her book, “Healthy at Home”, published by National Geographic Books. 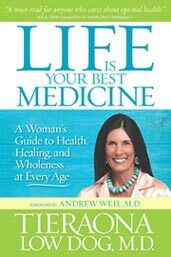 In this follow-up to Life Is Your Best Medicine, get the how, when, and why of getting better and staying well with homemade remedies that the doctor orders. More Information. 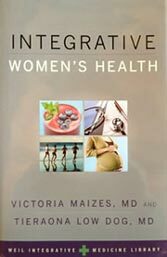 Integrative Women’s Health Edited by Victoria Maizes, MD and Tieraona Low Dog, MD Co-edited by Dr. Low Dog and her close friend and colleague Dr. Victoria Maizes, this Oxford University Press book contains 38 chapters of in-depth integrative clinical strategies for a wide range of topics including breast cancer, endometriosis, menopause, fibromyalgia, migraines, multiple sclerosis, depression and much more. Hardcover, 720 pages. 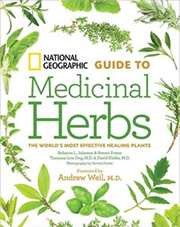 National Geographic’s Guide to Medicinal Herbs By Tieraona Low Dog, MD and colleagues In the Guide to Medicinal Herbs, you will embark on a round-the-world journey to explore the 72 most important healing herbs, from aloe to witch hazel and everything in between. And who better to act as tour guide than the experts at National Geographic and Dr. Low Dog? We bring you the latest scientific research—even when, as occasionally happens, it’s inconclusive or disappointing. We include warnings and complete dosage information. And it’s all written in clear, easy-to-understand language. There has never been a better way—or a better time—to get to know the age-old healing powers of Mother Nature’s most effective plants than in the pages of the Guide to Medicinal Herbs. Put the healing wisdom of the ancients to work for you! Hardcover, 384 pages. 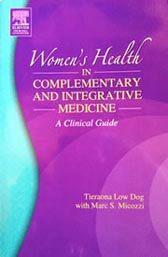 Women’s Health in Complementary and Integrative Medicine — A Clinical Guide By Tieraona Low Dog, MD and Marc S. Micozzi, MD PhD In this book, Dr. Low Dog covers the most common areas of concern in women’s health. She provides a truly integrative approach, showing when, how, and for whom complementary and integrative therapies can benefit women in continuity with their regular medical care. This is an evidence-based, clinically-oriented book that summarizes and analyzes scientific studies on the safety and efficacy of these therapies. Each chapter includes a description of commonly used treatments, discussions of safety issues (including adverse effects and drug interactions), a comprehensive summary and methodological assessment of clinical trials, and advice on counseling patients. E-book, 368 pages.